The Chief of Ho-Dome, Torgbui Adzinakle Howusu VII, has rubbished the Dr Botchwey report describing it as empty and incredible. According to the Chief, the Botchwey-led committee failed to execute what it was assigned to do. He said the committee consulted the very people who created the problems and snubbed those whose advice and contributions could have brought the true healing the party needs. Torgbui Howusu VII made this observation in his welcome address when the second deputy speaker of parliament, Hon Alban Sumane Bagbin who has declared his intention to contest for the NDC flagbearer position paid a courtesy call on him to ask for his blessings. Hon Bagbin in his speech,stressed the neglect of traditional rulers and opinion leaders in the local governance system of the country and linked that to the defeat of the NDC in the 2016 election but the Chief quickly rubbished that assertion. He told Hon Bagbin that the occasion was not the right forum to discuss the issue but if he really want to know what went wrong, he should contact those on the ground and those who have the facts to tell him what really went wrong. 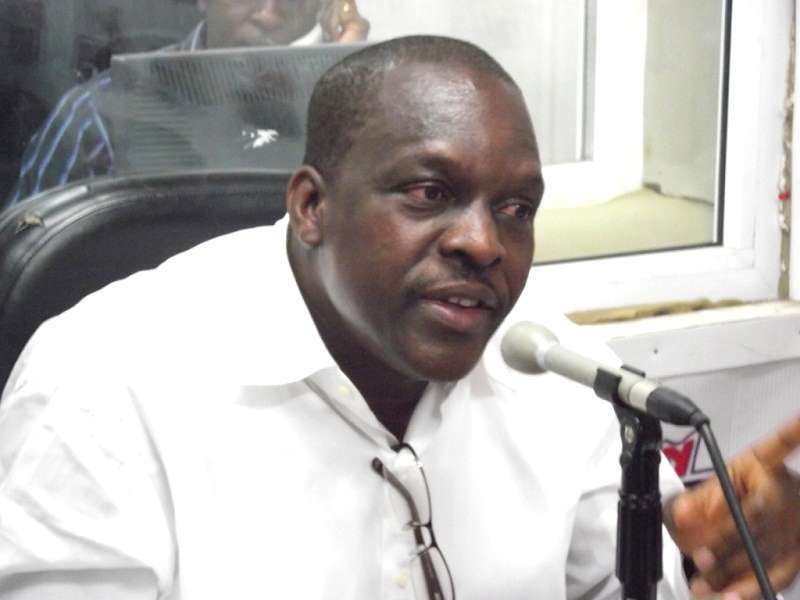 According to the Chief and other chiefs who reacted to Hon Bagbin’s assertion, Mr Bagbin and those who have been attributing the party’s defeat to what is captured in the Botchwey report must come to terms with reality that the NDC lost the election because of over bearing tendencies of some leaders who undermined the party’s plans and activities for their parochial interest. They said it is inevitable that the party must work on few negatives and allow the will of the people to prevail. According to the Chief, unfolding events clearly shows that the NDC is the party for the people. But the party must not take the people for granted by forcing unpopular candidates on the people. A popular candidate must be put forward to drive the ship of the party ahead of the next general election. He stressed that the NDC had the bright chances of returning to power because of the massive projects it implemented. He advised Hon Bag in that the party can easily win the next election if all party faithfuls agree to work together in one accord. “This is nothing more than power play and an attempt by elements in a faction to whitewash themselves. They feel John Mahama has been kicked out and it’s their chance to stage a comeback using an investigative body to claim some legitimacy,” he reasoned. According to the former President and founder of the NDC, “when Dr Bawumia was persistently attacking the NDC’s economic policies and performance, where were some of our professors when they were needed to counter the NPP’s criticisms? “Some of them are downright opportunists and are never seen or heard taking on the opposition but are quick to hop onto any image-building vehicle of the party,” he underscored.